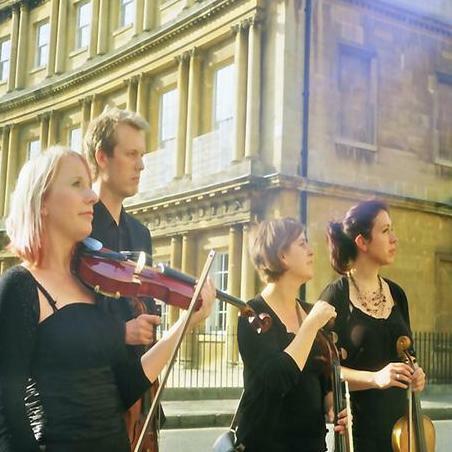 The Bristol String Quartet is a well-established string quartet with years of experience playing at weddings and corporate functions in Bristol, Bath, Cardiff, Somerset and across the South West. 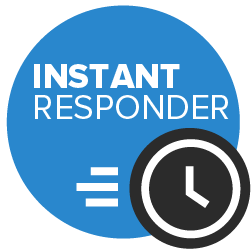 Having played at in excess of 900 events you can be sure of the highest standard of performance. With an ever increasing repertoire of over 1000 pieces we can help create the perfect atmosphere for any event; from a small intimate wedding to a large corporate function. 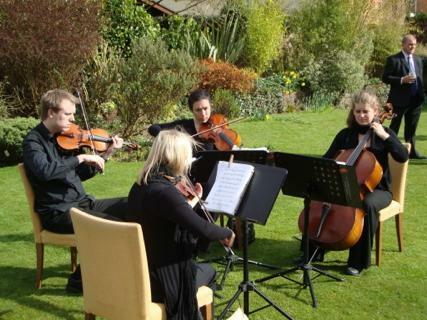 Very pleased we went with Bristol string quartet for our wedding day. Very skilled musicians and the arrangements and song choices were spot on. Really added to our day and made it perfect. Can’t recommend them enough, if you at looking for strings for your event get in touch with them. Just a word of thanks to you for providing the music which contributed so greatly to Helen and Jason’s wedding last Friday. It was really lovely (and much more my type of music!) - it must be very difficult to choose the right music for that sort of occasion and it was exactly right. 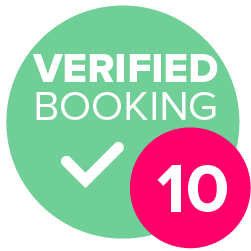 I enjoyed it enormously and I had many guests tell me that they too had enjoyed it as it added to the relaxed feel of the whole event. Again, many thanks for all you did to contribute to a perfect day.